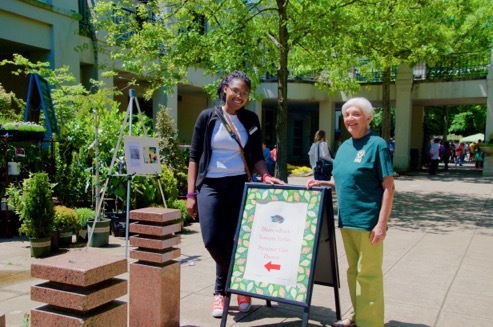 This year, I celebrated Earth Day at the Birmingham Botanical Gardens in a special way. I shared the story of my real life adventures while doing research for my eco mystery, The Adventures of The Sizzling Six: Operation Terrapin Rescue. 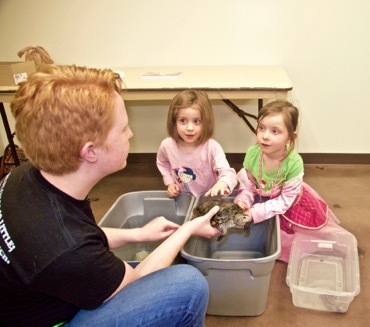 Visitors to Earth Day at the Gardens were thrilled to see live diamondback terrapins, ranging in age from 9 months to 20 years. These are no ordinary creatures. The diamondback is believed to be the only turtle in the world that lives exclusively in brackish water(containing some salt, but not as much as ocean water) like tidal marshes, and estuaries. They nest on sandy beaches and have been listed as a species of Highest Conservation Concern. 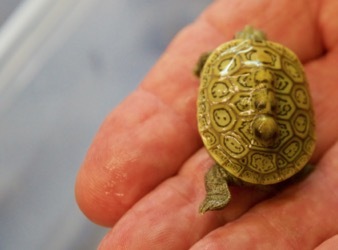 special terrapins had been raised in the hatchery at UAB to save the species from extinction. 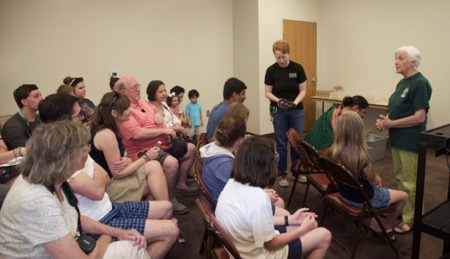 The audience was eager to learn more about these special terrapins. They were wanted to know how the females who were ready to lay eggs had been capture. 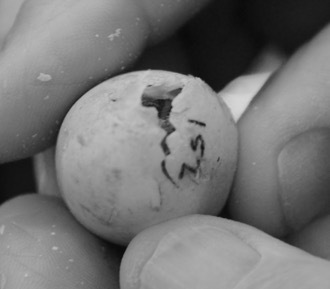 They asked why the number of terrapins had dwindled to just a few hundred when once there were thousands of them in the Delta. 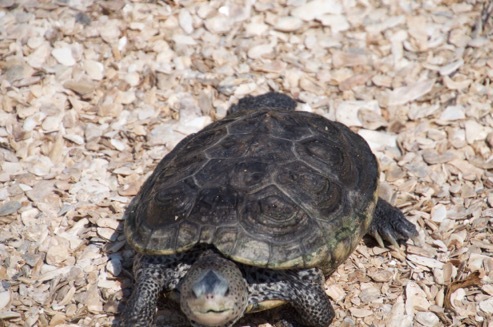 To find out more about the Diamondback terrapin read: The Adventures of The Sizzling Six: Operation Terrapin Rescue. 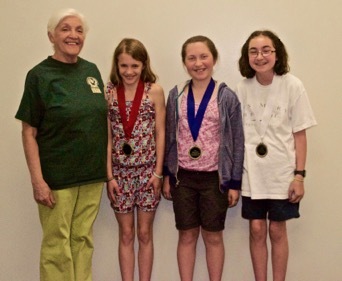 At the end of the program, I was honored to present three talented young environmental heroines with awards. Sophia Morris, in 5th grade at Vestavia Hills Central, received first place for her entry in the Eco mystery writing contest for her story, Endangered Orange-Bellied Parrot Mystery. Ellie Usdan, in 6th grade at Brookwood Forest Elementary, received First Place for illustrations, and Whitney Byington, at Highlands Day School, received first place for editing Operation Terrapin Rescue. It was a great pleasure to share my adventures doing research for Operation Terrapin Rescue with such an enthusiastic audience. Special thanks to the staff at Birmingham Botanical Gardens for organizing an entertaining and exciting Earth Day. A special thanks to Professors Ken Marion, Thane Wibbles, and graduate students for their assistance in doing research for this book.